The Nature Conservatory of Canada announced Monday that nearly 420 acres of land near Riding Mountain National Park will become protected habitat. 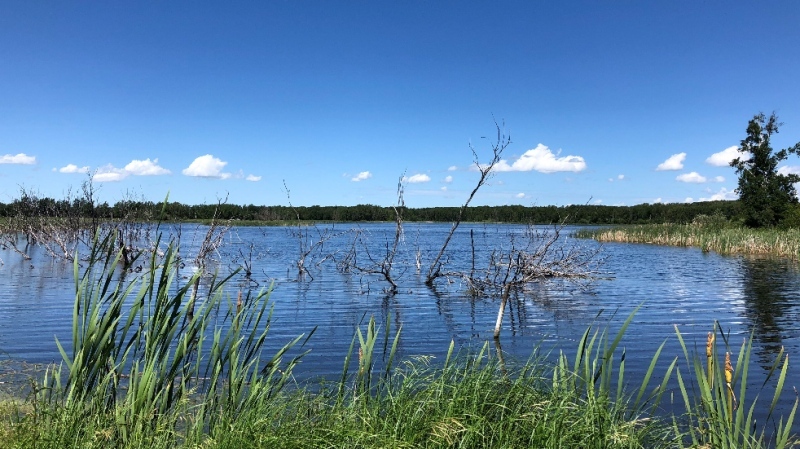 The land, which was gifted to the conservancy by the Mickelson family, is a diverse 418-acre property consisting of grasslands, wetlands, forests, and a lake, all of which are home to different plants and wildlife. The Mickelson family is setting aside the land as a conservation area in memory of Bob Mickelson to pay tribute to his love of nature and animals, as well as the Mickelson family’s long history in the Roblin, Man., area. According to a news release, forests located within the Bob Mickelson Conservation Lands enhance the property’s diversity by providing nesting cover, feeding, and breeding grounds for many birds, amphibians, and mammals, such as moose and elk. The property is home to several waterfowl species and species at risk, including Canada warbler, eastern wood-pewee, bobolink, and northern leopard frog.